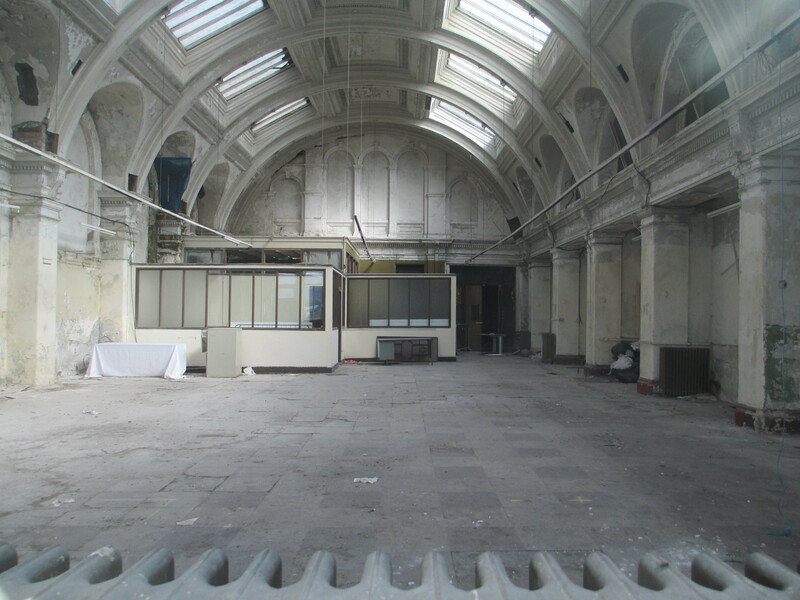 These are a few photos that I took today to support my research of the Belfast Harbour Office (and in particular its ties to the Titanic). 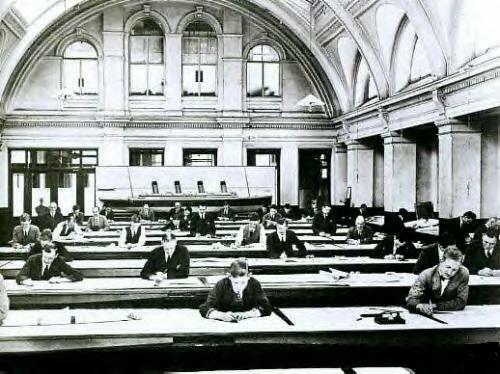 The interior of the original Drawing Offices at Harland & Wolff, where Titanic was designed (as they look today). 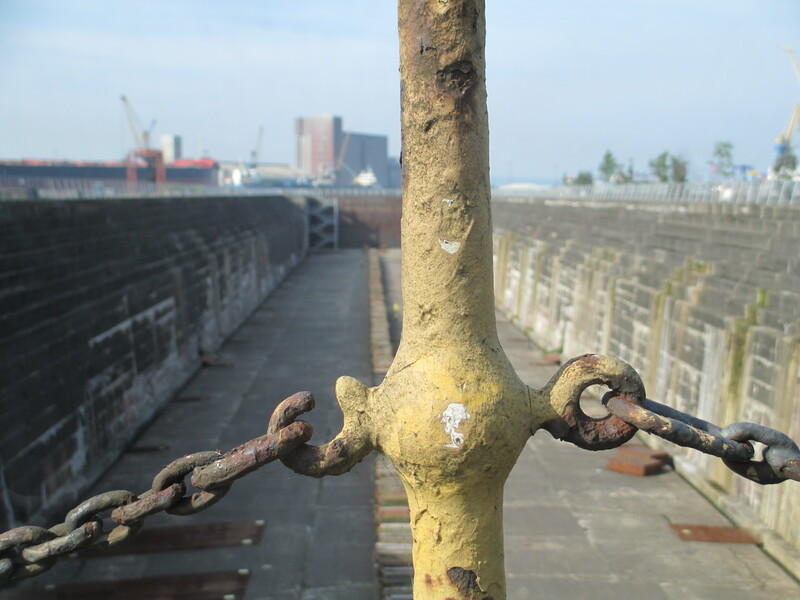 The Thompson Dry Dock; this was where the mighty Titanic rested in February 1912 (right on top of that long row of ‘keel blocks’ – the pictured keel blocks were the originals that were used to support the Titanic) . It was here that she was fitted with propellers and her hull was painted and inspected. 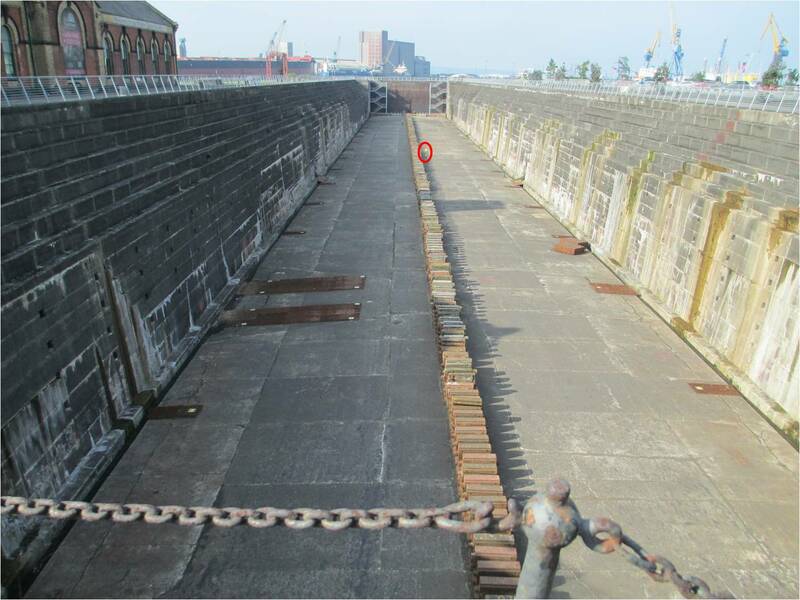 This dry dock was able to accommodate all 900 feet of Titanic, I have circled a dummy person that has been placed in the dock to further illustrate its huge capacity – pretty awesome, huh? 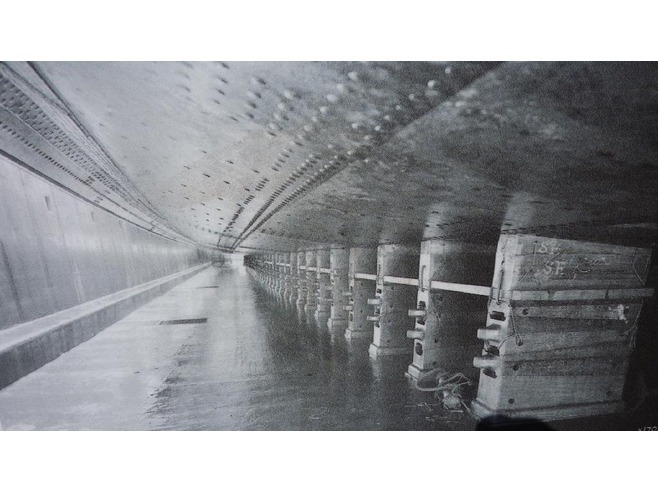 And just to help you visualise how Titanic would have looked in the Thompson Dry Dock, take a look at these amazing images below. 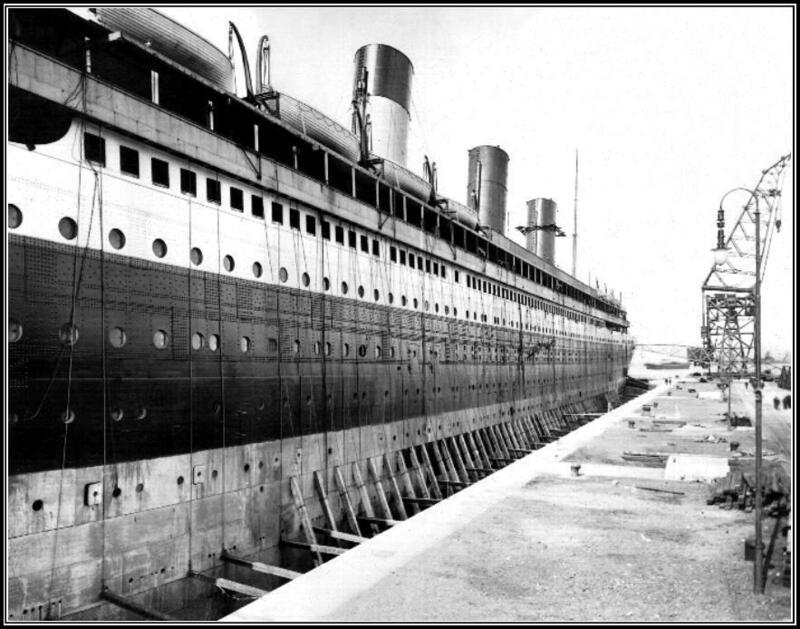 This is the beautiful beast in all her glory IN the Thompson Dry Dock! 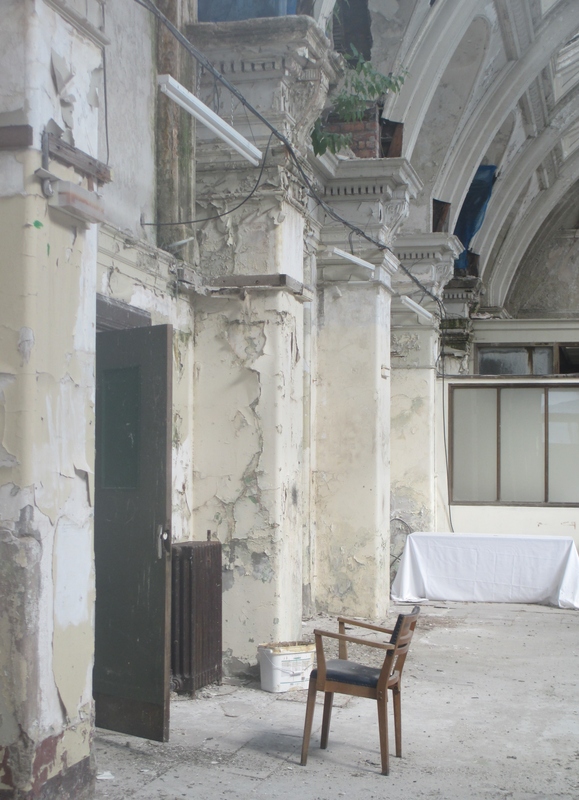 I’m enjoying every minute of this research – retracing history is an extremely evocative, haunting and grounding experience. 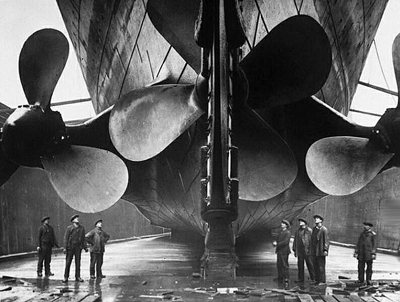 Note the keel blocks that are supporting this spectacular vessel. They had wooden buffers at the top so as not to damage the hull. 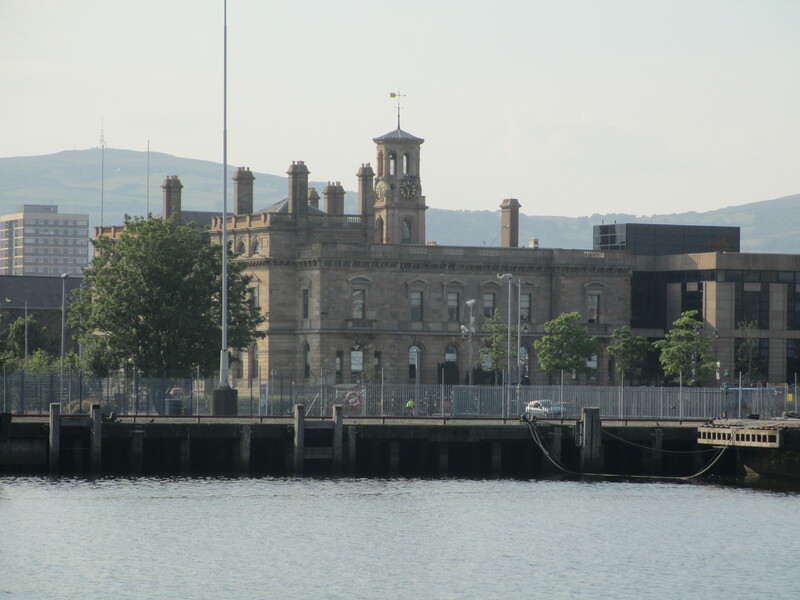 And this 19th Century property, the Belfast Harbour Office was the starting point of my journey. Haha, I’m glad you liked! Looks awesome Anita, Titanic was an amazing piece of engineering, I can totally understand how much you must be enjoying researching this. Hey Melissa, only just came across your comment! Thanks for taking the time to read my posts; I really appreciate it. 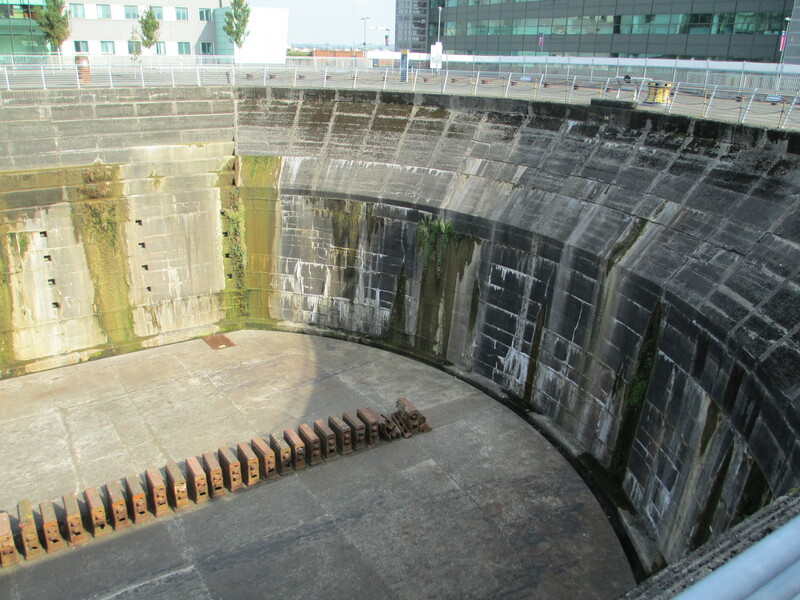 Visiting the Thompson Dry Dock was an amazing experience…I loved every minute of it 🙂 My chosen period property and its historical significance more than made up for the nasty report on Modernism! Just discovered your blog and am really enjoying it. I used to live in Belfast so it’s nice to see photos of some familiar buildings! Hi Gemma! Thanks for taking the time to browse through my humble little blog 🙂 I’m thrilled that you are enjoying it. How on earth have you coped not living in Belfast, which is clearly the centre of the universe(joking)?? !